Part two of our series for National Spinal Cord Injury Awareness Month. “Most of all, I hate how restricted the world feels. I miss celebrations because I can’t get to the second floor of a bar. I have to meet my friends’ new baby on the front lawn because I can’t get into their house. Without my legs, the world feels like a series of obstacles and barriers. It makes me feel like I can’t be a part of regular life. It’s isolating. What’s gotten easier over time? “Everything. Yeah, I would say literally everything has gotten easier. Even the simplest things like eating sandwiches and not having them fall apart. And the big things too, like getting out of bed in the morning, and getting dressed, and driving, and yeah, everything has gotten easier. I can’t think of anything that physically has gotten harder. Visit the SCI Awareness page at David’s Journey to Recovery for more stories from people living with spinal cord injury. This is the second part of our series for National Spinal Cord Injury Awareness Month. The series is designed to help us all understand what living with a spinal cord injury is like for David and millions of other people around the world. Part one of our series for National Spinal Cord Injury Awareness Month. A spinal cord injury occurs when someone suffers a traumatic injury to their neck or back that causes so much damage to the spinal cord that some nerves can no longer send messages to the brain. The higher the level of injury on the spinal cord, the more dysfunction can occur. 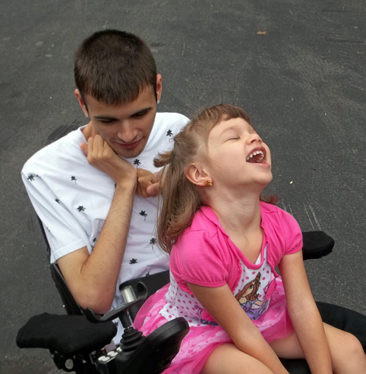 David is a quadriplegic with a C4-C5 injury level. People often confuse paraplegia with quadriplegia. • Paraplegia is the loss of sensation and movement in the legs, and in part or all of the trunk, usually resulting from an injury to the spinal cord below the neck. • Quadriplegia is total or partial paralysis in all four limbs, including the trunk, resulting from injury to the neck. We all link spinal cord injury to loss of movement, but did you know that there are many other other serious medical issues associated with SCI? Secondary conditions from spinal cord injury include pressure sores, respiratory complications, spasticity, and autonomic dysreflexia. Many quadriplegics die as a direct result of complications related to pressure sores. Christopher Reeve, the star who portrayed Superman, died of complications from an infection caused by a bedsore. Spasticity is a side effect of paralysis that varies from mild muscle stiffness to severe, uncontrollable leg movements. Although it’s embarrassing, spasticity is not always a bad thing because it acts as a warning mechanism to identify pain or problems in areas with no sensation. Autonomic dysreflexia (Hyperreflexia) causes the blood pressure to rise to potentially dangerous levels and can develop suddenly. Autonomic dysreflexia is usually caused when a painful stimulus occurs below the level of spinal cord injury. Anything that would have been painful, uncomfortable, or physically irritating before the injury may cause autonomic dysreflexia after the injury. If not treated promptly and correctly, it may lead to seizures, strokes and even death. 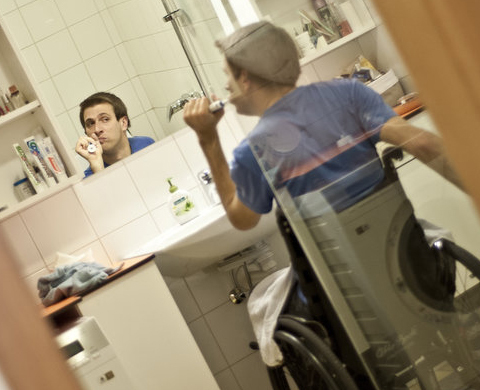 What is it like living with a spinal cord injury? In our next installment we’ll share stories from people living with SCI. This is the first part of our series for National Spinal Cord Injury Awareness Month. The series is designed to help us all understand what living with a spinal cord injury is like for David and millions of other people around the world. Please visit the SCI Awareness page at David’s Journey to Recovery to learn more.